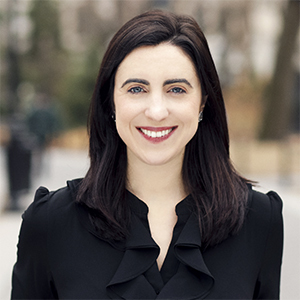 Kathleen LaMagna understands how taxing a change of home can be, especially in New York City, so her approach to real estate has always been focused on helping people and making life easier. She's determined to guide each client through the entire process while making it as stress-free and fun as possible. "I love working with people and feeling like I'm contributing in a small way to their New York City experience," she says. "I'm passionate about making sure they have an advocate for every step, and I want to make sure they feel completely confident with their decisions." Her solutions-oriented method starts with truly getting to know her clients. Aided by her background in acting, she not only asks the right questions, but she also listens carefully, zeroing in on what her clients convey about their lifestyles, schedules, likes and dislikes. She then works tirelessly to match them to the right home to fit their needs. Born in Westchester County and raised in Indiana, Kathleen earned a BFA from The Boston Conservatory of Music. She specializes in Upper Manhattan and makes her own home in beautiful South Harlem. In her free time, she loves spending time with family and pursuing her ongoing passion for theater and performing.